Brashares, A. (2001). 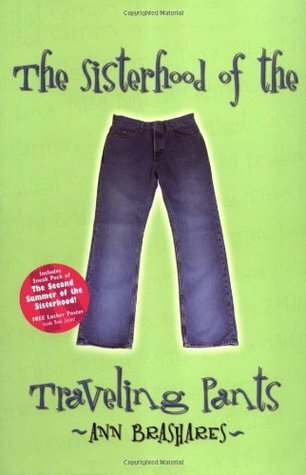 The sisterhood of the traveling pants. New York: Delacorte. Intended audience: Romantics, particularly girls. I gave it four stars: It’s probably a 2.5 for me, but I’m not the target audience, so another 1.5 stars because there’s finally a novel for teenage girls I can recommend without biting my tongue. Author facts: Ann Brashares lives in New York City with her husband and four children. She intended from the start to turn Sisterhood into a series. Evidently a believer in reader response, Brashare believes characters belong to both the author and readers.